Welcome to the year of 2019! Today, I want to spend a bit of time to talk about my Top 5 Affiliate Programs to join this 2019! And the best part is that it’s very easy to get started. As you all know affiliate marketing is an awesome way to make money online which you can do from your laptop or computer and even from the comfort of your own smartphone. Affiliate marketing has proved to be cost-efficient, a measurable method of delivering long term results. Research points to this method of marketing will be an industry trend for the future. Personally, I like to select affiliate programs which I like and the ones which I have tested before. To be successful in any affiliate marketing business it’s very important for you as an affiliate to first try out and test the affiliate program. And for me referring a good affiliate product to my referrals is a win-win situation because at the end of the day they are going to be happy with the results. This one is my number one favorite and I’m sure most of you have come across this site know as Wix. No wonder I keep on getting all these awesome Wix Commercials when I try to watch my favorite YouTube videos. 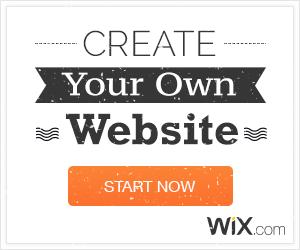 Wix is a really easy drag and drops website builder tool (website builder). Even a person with no website building knowledge can use Wix to build an awesome website. So, Wix provides you a cool $100 referral program for anyone who signs up with your Wix referral link. So, if you refer someone every day, you’ll receive a $100 commission. The next one in my list is going to be Shopify. This is a website builder specifically designed for the e-commerce platform, but they also provide an awesome fantastic affiliate program. With Shopify you as an affiliate can earn up to $58 for each user who signs up for a paid plan with your unique referral link, and $2000 for each Plus referral. Really, this can range from anywhere between $58 to $2000. They usually pay you a 200% commission. Mind you, this is a very high paying affiliate program. Now, let’s talk about ClickFunnels. ClickFunnels is one of my favorite affiliate programs because they have an amazing community. They provide you a $40 commission recurring revenue for every person who signs up with your referral link. You also as an affiliate get a chance to earn huge recurring commissions on all of their top level products and services. For those of you who do not know what is ClickFunnels? It is an easy drag and drops funnel builder. You can also build a website landing page using the ClickFunnels tools. It’s super convenient! If someone is using a WordPress site they need to host their domain name. BlueHost is officially recommended by WordPress hosting page, and it’s the best choice for your new WordPress blog. Let me give you a brief overview of the Bluehost affiliate program. It’s totally FREE to sign up for a Bluehost affiliate account and the cool things about Bluehost is that they do provide you with different banners tools and referral links which you can use for your web promotion. Bluehost provides you a $65 a sign-up bonus commission. They usually pay out on a monthly basis and not on a weekly basis. Not to mention, they do provide a reliable a tracking system (advanced, customized technology to ensure you always get credit for every single referral) and providing you with a dedicated support team (customer support affiliate managers) to help you with any support issues, insight, and personalized advice. Finally, I would like to end my Top 5 Best Affiliate Programs 2019 list with Peerfly. Peerfly is mainly a Cost Per Action (CPA) based affiliate network. They accept publishers from all over the world. To be an affiliate with Peerfly, you need to first be a publisher. This requires you to fill out their publisher form and an identity verification process. They’re a bit strict when it comes to approving their publishers. The cool thing about Peerfly is that they provide you with a Custom Tracking Platform, Free Training & Tools and an Accelerated Payment Option.